Vapi Industries Association and Vapi Green Enviro Ltd. with the support of its Industries Members have taken numerous initiatives for the betterment of the Environment by controlling pollution. Vapi being one of the largest Chemical Estate take the pride to state that it has got one of the best performing CETP of the country. This has only become possible by continuous up-gradation of Environment Management Systems and by regularly conducting awareness and skill up-gradation programs. There are many industries members present here who are using solvents and controlling the Volatile Organic Compounds (VOC) is a challenge to them. 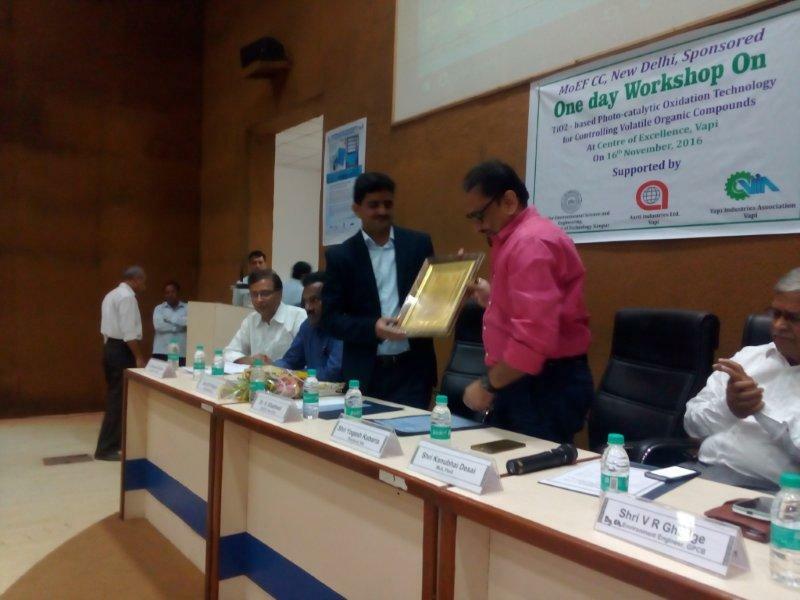 Keeping it in mind an One Day Workshop was organized on 16th November 2016 at the Conference Hall of Centre of Excellence with the support of IIT, Kanpur and Aarti Industries Ltd. 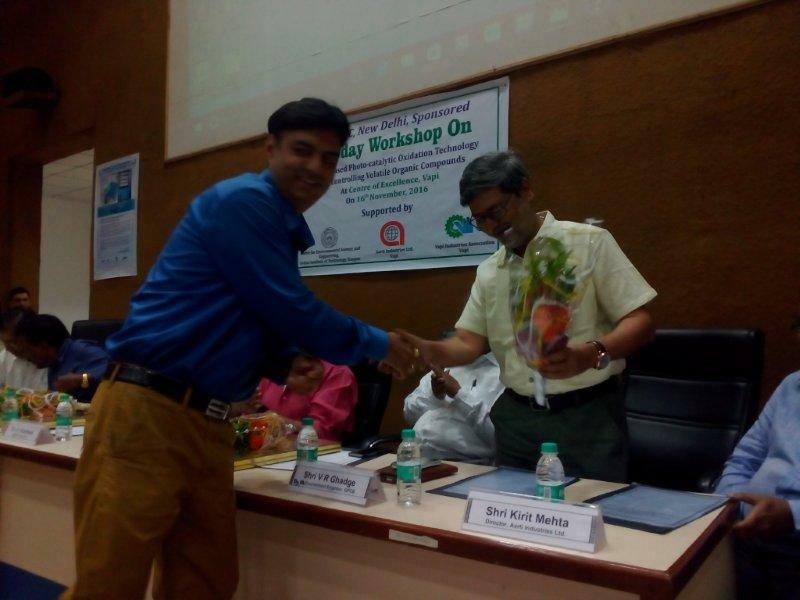 The workshop was held in presence of Dr. H Kharkwal from Ministry of Environment, Forest & Climate Change, Govt. 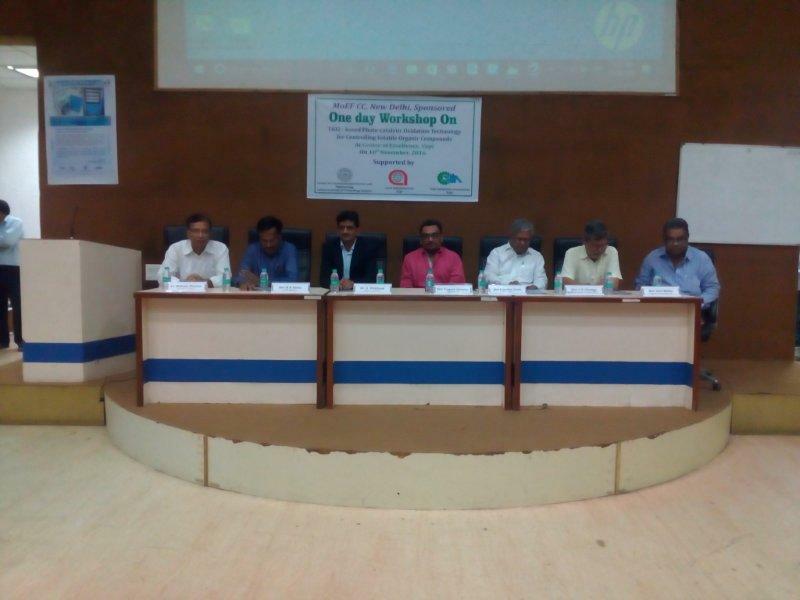 of India, Shri B R Naidu from CPCB, Vadodara, Shri V R Ghadge, Senior Environment Engineer, GPCB, Gandhinagar, Dr. Mukesh Sharma, Professor of IIT, Kanpur, Shri Kanubhai Desai, MLA, Pardi and Shri Kiritbhai Mehta, Director, Aarti Industries Ltd. who is also a Director of VGEL and Past President of VIA, Prof. Arvind Nema, IIT, Delhi, Prof. A B Gupta, MNIT, Jaipur, Prof Mohammad Rafat, Jamia Milia Islamia, Dr. Rajendra Prasad, Ecotech, Greater Noida, Shri Navin Patel, Clean Enviro Projects, Vapi, the Regional Officers and staff members from various GPCB Offices. 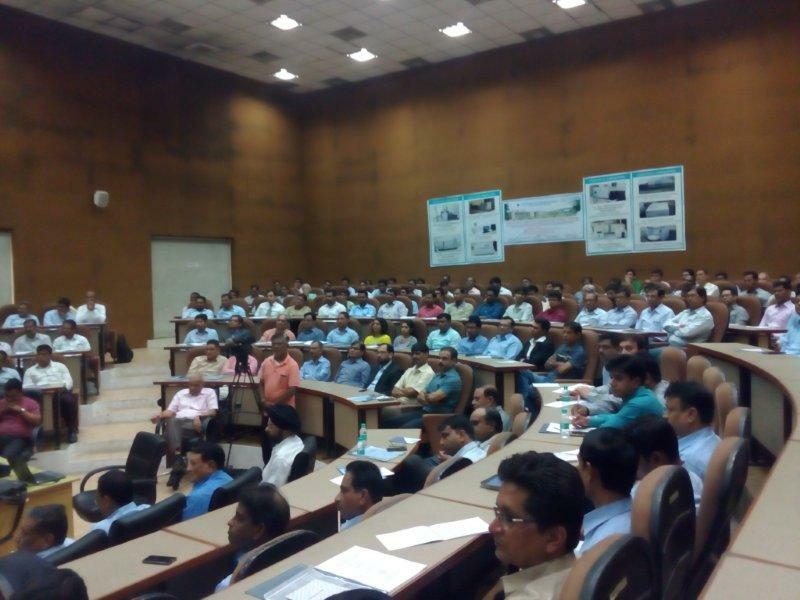 The program was well attended by over 175 industries members of the estate.